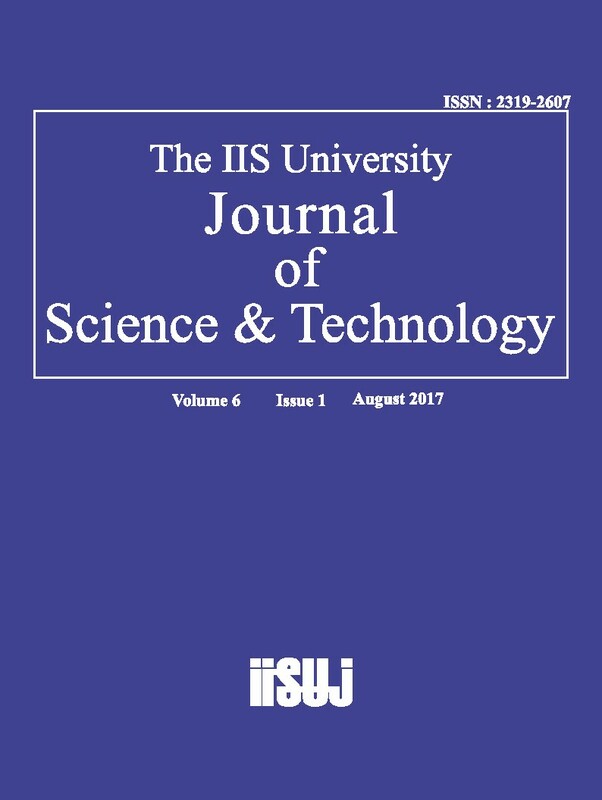 The IISU-JOST Editors would like to extend an invitation to academicians, scholars and research scholars to contribute Research News, General Article, Review Article/Research Account, Research Article, Short Communication, and Historical Commentary for the next issue of The IIS University Journal of Science & Technology, ISSN 2319-2607. Authors are requested to submit their manuscripts to the Editors at jost@iisuniv.ac.in latest by 25th January 2019. Kindly note, that there are NO PUBLICATION CHARGES for publishing a paper/article in the journal. Once published, a complimentary copy of the journal is provided to the contributor. We would also like to request you to bring this announcement to the notice of your colleagues and fellow researchers so that they may be aware of The IIS University Journal of Science & Technology as a potential source for publication. The IIS Journal of Science and Technology promotes public awareness and understanding of all aspects of Science: experimental, theoretical and laboratory researches. The journal is committed to the publication of original research articles, reviews and notes in all fields of biological,chemical, physical, geographical, mathematical, statistical and technological advancement. Articles representing the latest theoretical research and experimental results in the field of science will be covered by the journal. We aim to propagate innovative scientific research and eminence in knowledge. The Journal provides a platform for the promulgation of research outputs and activities in field of science and also to amalgamate theoretical research with industrial development thus making the scientific research authentic and more accurate.